Tune in LIVE to hear all about the latest photography news, discussions, gear rumors, and tutorials and answer your photography questions LIVE at the end of the show. 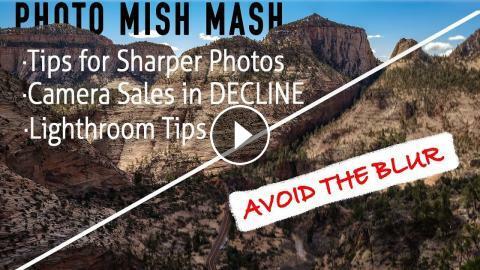 Photo Mish Mash for August 15th, 2018 - Lightroom Tips, Mirrorless Rumors and DRINKS! Photo Mish Mash for Dec 4th, 2018 - LIVE IN STUDIO WITH STEVE!